A plant growth regulator for late season use in winter wheat, winter and spring barley, triticale and winter rye. Terpal® is the tried and tested industry standard, delivering stem and root lodging resistance, and is an invaluable tool for protecting yield and quality. Terpal® is a soluble concentrate containing two active ingredients - mepiquat chloride and 2-chloroethylphosphonic acid. The growth regulator can be used to protect yield quality in winter wheat, spring and winter barley, triticale and winter rye. Particularly in barley, Terpal® reduces brackling, which is key to protecting yield, quality and enhances harvest efficiency. A major benefit of Terpal® is even crop quality, achieved by balancing main and side tiller height and preventing lodging. 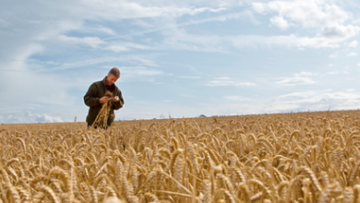 Terpal® improves ease of harvesting and maintains grain quality. 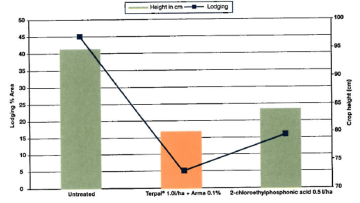 In addition, Terpal® counteracts crop stress from ethylene production; this is a problem with straight 2-chloroethylphosphonic acid (ethephon) which can impact yield. 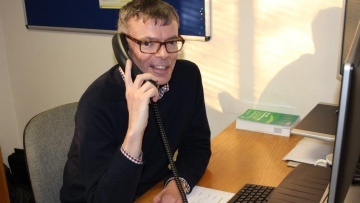 Terpal® applied at GS32-39 in cereals can significantly increase the lodging resistance score of high risk crops and is the best choice PGR to protect yield late in the season.